Has as leader Jose Rodriguez, Jr. The CIA sends the NSA some information about 9/11 hijacker Khalid Almihdhar, including information about al-Qaeda’s Malaysia summit (see January 5-8, 2000), which Almihdhar attended, as well as the name of a person who helped him in Kuala Lumpur, where the summit was held. The NSA is also told Almihdhar’s primary purpose for coming to Malaysia was to meet with other people. The CIA knows Almihdhar has a US visa (see January 2-5, 2000), but it is unclear whether the NSA is informed of this. [US Congress, 7/24/2003, pp. 156 ] At this time, the NSA has some information about Almihdhar, whose calls it has been intercepting for at least a year (see Early 1999, Summer 1999, Late Summer 1999, and Shortly Before December 29, 1999), that has not been disseminated. In particular, the NSA seems to have overheard something in early 1999 that should have been disseminated, but was not. This new information from the CIA does not cause the NSA to re-examine its material on Almihdhar or disseminate any important information to other US agencies. However, Almihdhar is subsequently put on the NSA watchlist (see Mid-January 2000) and the NSA intercepts calls between his home in Yemen and him in the US (see Spring-Summer 2000), but fails to alert the FBI to his presence in the US (see (Spring 2000)). The US intelligence community considers creating a strategic analysis about terrorism, but none is done before 9/11. The last National Intelligence Estimate (NIE) on terrorism was released in 1997 (see 1997). 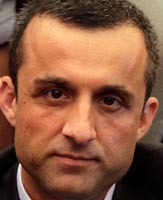 The 9/11 Commission will later say that assessments such as NIEs can “provoke widespread thought and debate [and ] have a major impact on their recipients, often in a wider circle of decision makers.” By late 2000, CIA Director George Tenet recognizes the lack of any recent strategic analysis about al-Qaeda or Islamic militancy in general. He appoints a senior manager, who briefs him in March 2001 about “creating a strategic assessment capability.” The CIA’s Counterterrorist Center (CTC) establishes a new strategic assessments branch in July 2001 and about ten analysts are slated to work for it. But it takes time to hire the new staff and the first head of this branch reports for work just one day before 9/11. [9/11 Commission, 7/24/2004, pp. 342-343] Not only is there no NIE or any other sweeping strategic assessment on al-Qaeda between 1997 and 9/11, but one still will not be completed five years after 9/11. Apparently the US military opposes such an assessment for fear it would reduce the military’s role in counterterrorism efforts (see September 12, 2006). According to CIA Director George Tenet, “Only minutes” after the South Tower is hit, the CIA’s Counterterrorist Center (CTC) receives a report that at least one other commercial passenger jet plane is unaccounted for. [Tenet, 2007, pp. 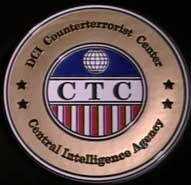 163] The CTC is based at the CIA headquarters in Langley, and is run by the agency’s operations division. It gathers intelligence and runs covert operations abroad. It employs hundreds of analysts, and includes experts assigned from Defense Department intelligence agencies, the Pentagon’s Central Command, the FBI, the National Security Agency, the Federal Aviation Administration, and other government agencies. According to the Los Angeles Times, “It serves as the nerve center for the CIA’s effort to disrupt and deter terrorist groups and their state sponsors.” [St. Petersburg Times, 10/2/2001; Los Angeles Times, 10/12/2001] Further details of the unaccounted-for plane, and where the CTC learns of it from, are unclear. The plane is presumably Flight 77, which veered off course at 8:54 (see (8:54 a.m.) September 11, 2001), and was evidently lost by 8:56 (see 8:56 a.m. September 11, 2001). [New York Times, 10/16/2001; 9/11 Commission, 7/24/2004, pp. 9] The FAA will later claim it had established several phone bridges at around 8:50 a.m., which included various government agencies, on which it shared “real-time information… about the unfolding events, including information about loss of communication with aircraft, loss of transponder signals, unauthorized changes in course, and other actions being taken by all the flights of interest, including Flight 77” (see (8:50 a.m.) September 11, 2001). [9/11 Commission, 5/23/2003] So the CTC may have learned of the errant plane by this means. Yet the 9/11 Commission will claim the FAA’s phone bridges were not established until about 9:20 (see (9:20 a.m.) September 11, 2001). [9/11 Commission, 7/24/2004, pp. 36] And NORAD is supposedly only alerted to Flight 77 at 9:24, according to some accounts (see (9:24 a.m.) September 11, 2001), or 9:34, according to others (see 9:34 a.m. September 11, 2001). Entity Tags: Osama bin Laden, Robert Grenier, Central Intelligence Agency, Counterterrorist Center, Jose Rodriguez, Jr.